I’ve finally set up a newsletter subscription on my blog! Why did I put off the email subscription plunge for so long, and more importantly, what happened to change my mind? I didn’t set it up for the longest time because I didn’t think it was necessary. I look at my own personal email. There are days I don’t have time to read everything that comes in. On top of that, I’m finding that when I sign up for anything, everyone (and their long-lost cousin twice removed) feels that’s an open invitation to add me to the email train. I joined the shoe club at the local shoe store. At least twice a week I get an email about shoes. I know some people think women spend every moment of every day thinking about shoes, and I guess some do, but I don’t buy shoes twice a week. I don’t buy them once a week. I buy them when I need them. I joined a poetry class and now I get daily spam emails from every single person who’s posted a copy of his or her poems to the discussion forum. Heck, even my local embassy started sending me spam. So when I considered adding a form on my website asking others to sign up for my email newsletter, I cringed at the thought. 1) I didn’t think it was necessary. 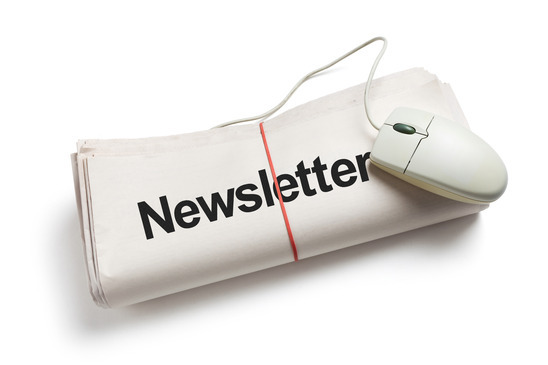 I post updates to my blog, why do I need a newsletter? 2) I didn’t want to spam my readers. 3) I didn’t know how and thought it was way too technical for me. In case you didn’t know, I’m the lady who can’t figure out how the remote control for two electronics in the same room works. I even have a sonic screwdriver and I can’t figure it out. So, what happened to change all that? Well, mainly this article over at The Creative Penn about essentials your author website should have. It wasn’t so much what she wrote in the article that made me change my mind, but more that SHE wrote it. You see, every piece of advice Joanna Penn has given me has been spot on. I’ve never once regretted anything she’s encouraged me to do, whether it’s been something I heard in one of her podcasts, or a snippet I’ve picked up in one of her articles. When I read this article the other day, I started thinking about this newsletter thing that I’ve been putting off. I wondered how I could do it without spamming my readers and what value I could give people who did sign up. I decided I’d run a monthly newsletter campaign and by the end of the day, I was searching for subscription services. I went with MailChimp because they offer free service for the first 2k subscribers. Surprisingly, the set-up went smoother than I had anticipated. I was up and running within an hour! 1) I can let readers know about promotions and other upcoming events (already on my blog and new information) in a very specific way. In other words, maybe you don’t make it over to the blog to read every post, but if I send a newsletter with specific information in it, you’ll have the information at your fingertips. 2) I can give away something for free when you sign up! We all like that, don’t we? I love how I can create variety with this, too. Perhaps change the offering every quarter. 3) I can ask you questions. I love asking questions on the blog, but a lot of my readers aren’t on WordPress and don’t want to sign up for an account just to post a message. Having an email newsletter allows for communication between me and my readers, and I really like that. I’m excited to see how this develops! I always love trying new things =). Most of the time. I wouldn’t love skydiving. Or bungee jumping. Okay, anything that uses fun verbs to trick you into FALLING a long way down is off the table. Are you ready for your free short story? To sign up, scroll to the bottom of the page and click on the phrase, ‘Become a VIP!’ under ‘Sign up for Cas Blomberg’s newsletter.’ Once you’re registered, I’ll send you a pdf of one of my short stories =).